Turning is one of the most important processes in metalworking. This couldn’t be done, of course, without a lathe. Pottery, watches, and even optical materials wouldn’t exist without the function of a lathe. So how did lathes come to be? Read on, and you’ll see a brief history of this powerful tool in this next installment. Usages of lathes date all the way back ancient Egypt along with Assyria and ancient Greece also using the tool. It has been discovered that Egyptians developed and used a two-person lathe around 1300 B.C. The two-person lathe allowed one person to use a rope to turn the woodwork piece, while the other person used a sharpened tool to cut the wood into a desired shape. While this was developed in one part of the world, the Romans were developing their form of the lathe in another part of the world. The ancient Romans added a turning bow to the lathe. By using a woodturning lathe, Romans were able to make lidded boxes and containers from materials such as boxwoods. The Romans were also able to make furniture using the advances they had made in woodturning lathes. 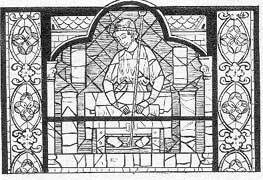 In the 13th century, the first image of the pole lathe was created in a stained glass window at the Chartres Cathedral in France. The 13th century is the first mention of the pole lathe, however it could have been used before that time. This was a major technological breakthrough for the time period; the pole lathe eliminated the need for a second person like in the aptly named two-person lathe, and it also enabled the worker to stand at a table and work rather than sit on the ground and turn. Fast forward many years to the 1700s, and people of England were making advances on the ever-useful lathe. Dutch-born Jan Verbruggen was selected to be master founder of the Royal Arsenal in Woolwich in the late 1700s. He helped create a horizontal drilling machine that allowed guns to be more precisely produced, as well as allowing a more accurate production of cannon. (These produced stronger cannon that would be used in the American Revolutionary War.) In his home country, while serving as master caster at the National Heavy Artillery Foundry in The Hague, Verbruggen designed an innovative horizontal lathe for the production of cannon. The lathe went on to be a tool used for many functions. During the Industrial Revolution, the lathe benefitted from steam power. Steam engines and water wheels provided mechanized power; transmitted through line shafting, this made for much faster and more efficient work. Developments and improvements to the lathe permitted the metal parts of engines to be accurately cut, thus allowing for large engines to be built, which meant more powerful engines. Now, in the 21st century, the function and basic form of the lathe is the same, but there is a vast array of lathes and surprising functions they provide. CNC metalworking, metal spinning, glass-working and ornamental turning lathes all have played roles as important tools to mankind. Who knows, maybe within the next century there will be some developments to lathes that can improve that will “turn” the machining world upside down.